As a person, young or old, begins to train for sports and fitness, it is important and often required that they be evaluated by a healthcare professional. 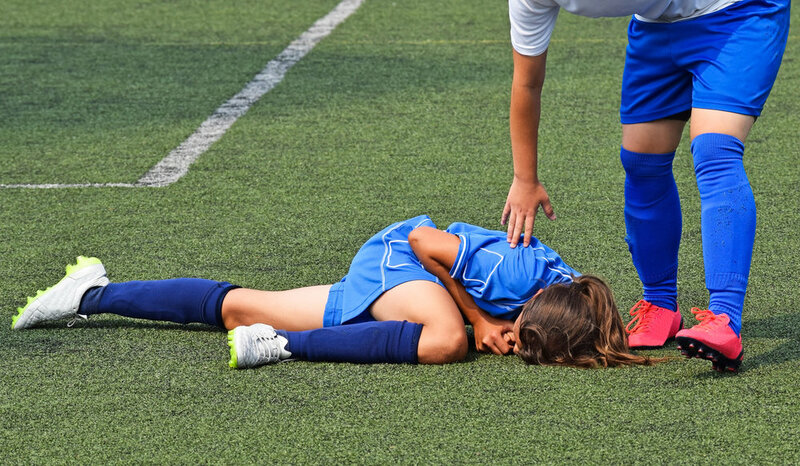 The standard sports physical is focused on organ systems such as heart and lung function, with the exception of a scoliosis screening and basic neurological testing, but fails to focus on structural imbalances of the body which can contribute to future injury. Unfortunately, medical professionals are not trained to offer a full biomechanical exam designed to reveal potential issues in the athlete in advance of injury. When a structural and biomechanical evaluation is combined with a medical exam, a clearer picture of the athlete comes into focus. This evaluation of the spine and other joints is referred to as a Structural Fingerprint® Exam. Ankle Sprains. Hip Flexor Strains. Sciatica. Numerous Knee & Hip Injuries. Joint Degeneration. Herniated & Bulging Discs. All potentially sports career ending. All potentially avoidable injuries when evaluated using the Structural Fingerprint® Exam. Structural Fingerprint® Exam includes: Full Biomechanical Exam evaluating the spine and joints (ankles, knees, hips, shoulders etc.). Digital Foot Exam evaluating the foot for issues that could lead to severe injury to joints, tendons and muscles. Digital X-Rays (when appropriate) to reveal where the athlete has elevated stress in the spine and structural imbalances that could lead to serious injury. At SPARC we use the Eurotech DOC Spinal Decompression Table for chronic and/or severe cases of lower back pain and neck disorders. By providing a gentle computer-driven decompressive force to the low back or neck, spinal decompression targets the spinal discs and joints and comfortably unloads the spine. I am an 18 year old student athlete from the Bahamas and I attend Galveston College in Texas. This summer I played in the Perfect Game Collegiate league for the Oneonta Outlaws. During my freshman year season I was the only catcher on my team to play over sixty games. My throwing arm and my knees really took a toll after playing that many games in a short period of time. While playing this summer, my host family told me about Southside Chiropractic and I was more than happy to make an appointment for an adjustment. During my visits, my elbow, shoulder, knees, and neck were adjusted at each visit and I had never felt better than I did after my adjustments. My body would feel loose and I would be ready to play that night or the next day. I also took part in the World Baseball Challenge in Canada this summer and I was able to play to the best of my ability because of the treatments I got over the summer. This year I feel better than ever and I can’t wait to see what the spring holds. Thank you for everything you have done for me, it has really gone a long way!